NIVEA Shower Gel leaves your skin feeling fresh and cared for; pH Skin Balanced and fragrant of the bath gel will keep you engrossed in it and you will be enveloped by it. 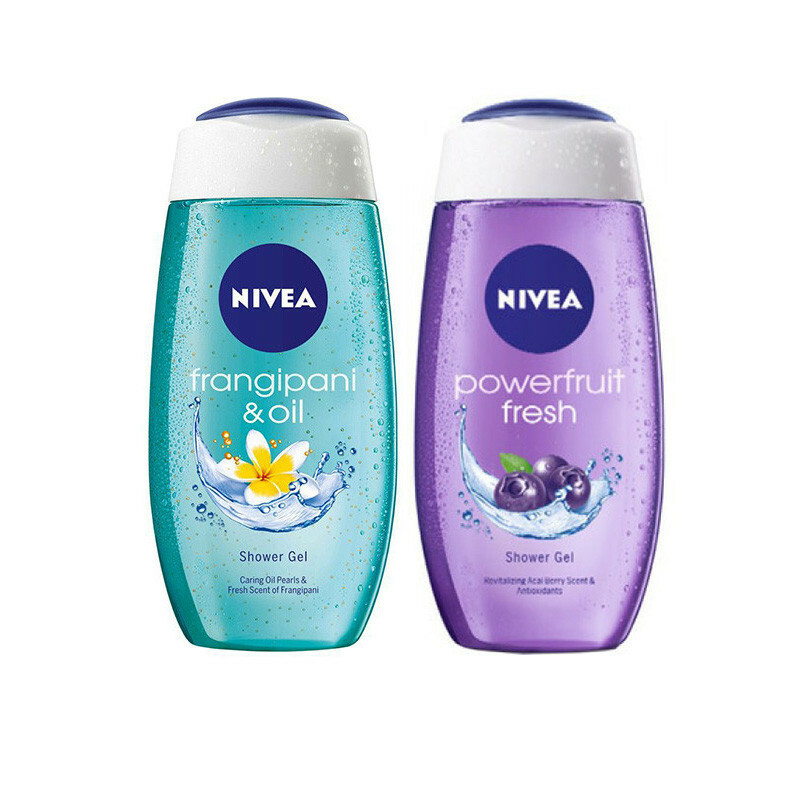 Nivea Powerfruit Fresh Shower Gel is an amazing shower gel that not only cleanses, but also moisturises the skin making it soft and supple. The aroma of the delicate acai berry will leave you mesmerized and wanting for more. The shower gel cleanses and exfoliates but does not dry out the skin at all. Gentle and mild enough to be used daily and can be used by the entire family during all seasons.NIVEA Frangipani & Oil Shower Gel provides tempting freshness and pampering care for your skin under the shower. Let this fresh shower gel with care oil pearls envelop your skin with a silky soft foam, while its invigorating scent of frangipani stimulates your senses. The caring formula pampers your skin, leaving it feeling moisturized. Discover the unique combination of freshness and rich care. Relax and rejuvenate with every shower.